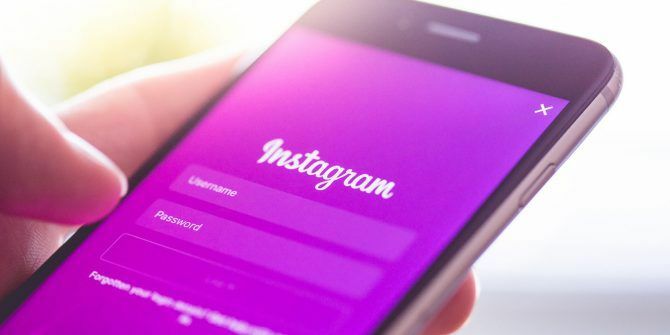 Instagram has quietly introduced a new feature to the app which means people can see when you were last active on Instagram. On the flipside, you can now see when other people were last active on Instagram. This feature is enabled by default, but it’s easy to disable it. At least for now. Social networking sites rely on interactions between people Facebook Focuses Your Feed on Family and Friends Facebook Focuses Your Feed on Family and Friends Facebook is changing the News Feed, focusing on posts from family and friends rather than those from pages and brands. Good news for Facebook, good news for users, and bad news for brands. Read More . Without them, the likes of Facebook, Twitter, and Instagram would stop functioning. One way of getting people to keep coming back, and to interact with others, is to shame them for their absence. Which is Instagram’s latest trick. According to The Next Web, the latest version of Instagram on Android and iOS now reveals your Activity Status. This is exactly what you’d expect, and what we’re all used to on Messenger and WhatsApp. Namely, a message revealing when you were last actively using the app. This feature is enabled by default, and if you leave it enabled you’ll be allowing “accounts you follow and anyone you message to see when you were last active on Instagram apps.” So, not accounts that follow you, but accounts you either follow or have ever messaged in the past. Girl posing mostly naked with the caption "omg saw the cutest dog today and ate pizza for lunch such a random day"
Thankfully, you can disable the Activity Status feature completely, and it’s rather easy to do so. Just open the app, click on your Profile, and click on the Settings icon. Scroll down until you find “Show Activity Status” and toggle it off. Your privacy has now been restored. Instagram has been rather clever in the way it has set this up. Because by disabling the feature to stop other people seeing when you were last active you’re prevented from seeing when anyone else was last active. Which could tempt some nosey people to leave the feature enabled. I’m not a big fan of this feature, as it seems to be just another way of letting people know too much about you Online Privacy: Do You Share Too Much Information? Online Privacy: Do You Share Too Much Information? Sharing has always been a prominent part of what the Internet is and how it functions. And with social networks exploding in popularity in the past several years, sharing is probably the one aspect we... Read More . However, Instagram deserves some credit for actually allowing you to disable this feature, which not all apps do. Let’s just hope disabling it remains an option in the future. Do you use Instagram? Are you an occasional user or would you consider yourself a little obsessed? What do you think of this feature showing when you were last active? Will you be leaving it enabled? Or disabling it ASAP? Please let us know in the comments below!